It is without question that Florida was one of the hardest hit states during the recent hurricane season. Hurricane Irma, a category four hurricane landed on the coast of Florida on September 10, 2017. It wreaked havoc in southern Florida leaving areas of the Keys, Miami, and Jacksonville in ruins. Hurricane Irma left many families with major damage and loss to their homes and businesses. The recovery and rebuilding process has been underway. However, the cost of rebuilding for the average resident can be quite costly, especially considering the unexpected strength of the storm. In the wake of the recovery process, the state and federal government have allotted recovery funds to provide assistance to businesses and individuals seeking to rebuild. The following is an overview of such programs. The federal government provides funding to states experiencing the effects of natural disasters. Accordingly, areas in Florida hardest hit by Irma received $615.9 million earmarked for damages to homes and business as well as for the rebuilding of public infrastructure. Outside of this major disbursement, Community Development Block Grants, Federal Emergency Management Agency (FEMA), and Housing Urban Development have also earmarked funds to 67 counties in Florida. All the same, direct funding to homeowners have not been allotted and are hard to come by. Recently, state agencies have been administering programmatic funding to provide compensation to individuals. One such program is administered by the Florida Division of Emergency Management. The program is called the Individual Assistance Program and although the program is administered by the state, it provides government funds through a tele-registration center operated by FEMA. Applications are processed through the registration center and assistance is determined. In the case of an approval, assistance is coordinated through state and local representatives, volunteers and organizations. Florida Department of Economic Opportunity (DEO) is another such agency administering federal funding and assistance. Under DEO, Florida Disaster Recovery Initiative, by way of applications, provides housing and community development activities. This may be another avenue for homeowners to see their rebuilding needs met. Florida legislation may offer some aide to certain residents in the form of insurance assessments. 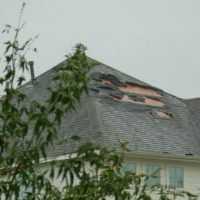 Florida law requires that condominium owners have at least $2,000 worth of property loss assessment coverage. The Small Business Administration (SBA) is providing low-interest disaster loans for businesses affected by the recent disasters. These loans focus on long-term recovery. Businesses interested in these disaster loans may apply for a loan online on SBA’s website. SBA has also established special disaster recovery centers where in-person applications are accepted. Surprisingly, both small businesses and homeowners are eligible to apply for these loans. To qualify for a loan, the applicant must own property or reside in designated counties as well as meet other credit eligibility standards. The recent hurricane season has left much damage and loss in the state of Florida. Were you affected by the recent hurricane season? Rebuilding after such a severe natural disaster can be difficult as families cannot ever fully prepare for the financial requirements needed to get their homes and businesses back on track. Attorney Brendan A. Sweeney is an experienced construction law attorney with years of experience litigating and advising on construction issues. Whether you need advice on retaining a contractor, filing a legal case, or determining the best course of action to rebuild your home, we are here to assist. Contact us now for a consultation.